According to the Official Saba News Agency, meeting held in Sana’a under the chairmanship of Prime Minister Dr. Abdul Aziz bin Habtoor discussed the procedural problems related to addressing the obligations of Yemen Airlines to the Ministry of Oil and Minerals. The meeting was attended by Minister of Oil and Minerals Ahmed Dars, Deputy Director of Yemen Airways for Commercial Affairs Abdullah Mohammed Muthar, Deputy Director of Operations Ali Ahmed Al Shami, Advisor to the Chairman of the Board Saif Hamza and Director of Supply Management Dr. Abdullah Al Shuaibi. It discussed explanatory notes provided by the Ministry and the company . The meeting dealt with the mechanism to deal with these obligations, taking into account the current exceptional circumstances to ensure the continuation of the important institutional activity of this national company during the period of aggression and siege. The meeting stressed the importance of preserving the existing national institutions, which are of great importance to the Yemeni state and its continuing to provide its functions to the society in all its sectors. 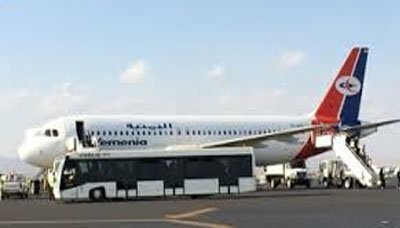 The meeting agreed to hold a meeting of the Ministry and Yemen Airways to discuss the arrangements necessary to schedule all the obligations of Yemen Airlines and the release of a joint report to be signed by the parties and then submitted to the Prime Minister to final approval.